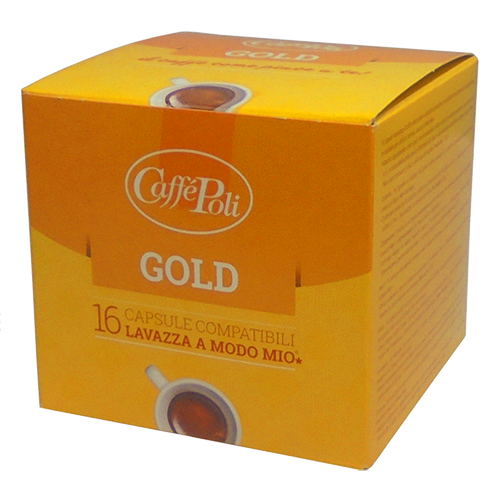 Caffè Poli A Modo Mio Gold coffee capsules are based on Superbar beans which is a combination of Arabica beans and a dash robust, this espresso coffee has a smooth and delicate taste with good, round spiciness. It is an ideal product for the most discerning of espresso drinkers, who have high demands for a perfect espresso requires a stronger coffee taste. Once in the cup, you get an espresso coffee with a thick and solid crema.